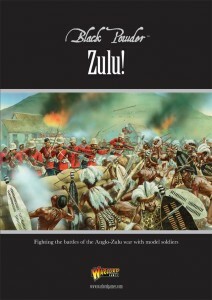 Warlord Games has their new Zulu supplement book now available for Black Powder. Zulu! is our latest Black Powder supplement and covers the Anglo-Zulu War of 1879. This lavish 92 page supplement chronicles such legendary battles as Isandlwana, Rorke's Drift and Ulundi. Zulu! brings you not only the background for these momentous battles but other, less well known conflicts as well as rules and force listings - all wrapped up with the usual photographs of beautifully painted miniature and armies!